Product code: W469 Categories: Sold Items, Sold Rolex Watches. The term “Brand new in box” is brandished around by so many when so often when it is far from the case, however here we are proud to have a Rolex watch that has never been worn and still has its protective plastic wrapping intact. 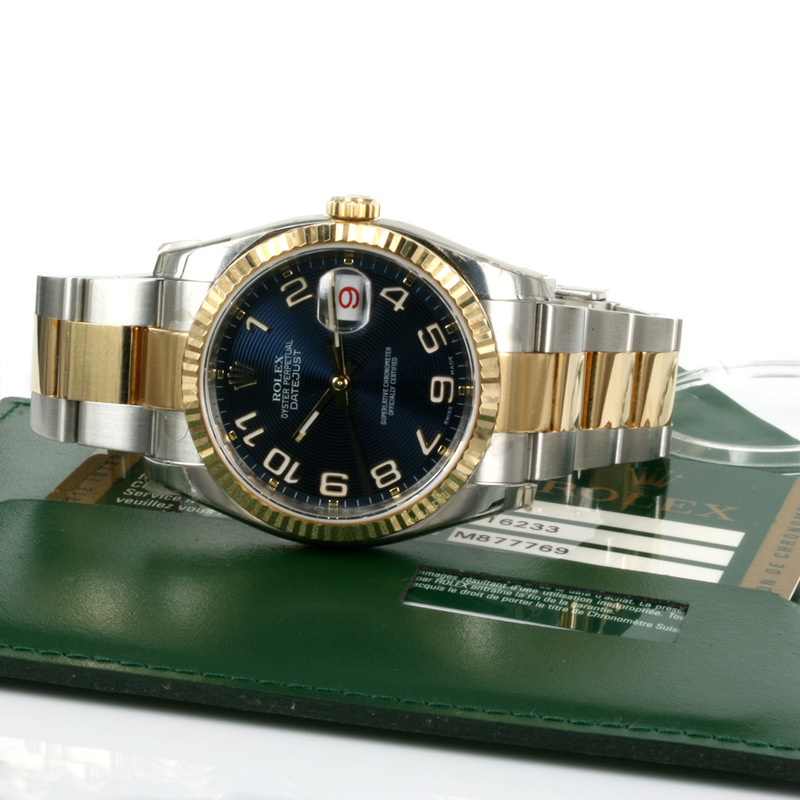 This is the gents Rolex Datejust model 16233 in 18ct gold and steel with the great looking blue dial. With the numerals so easy to read, it has the roulette date wheel which alternates between red and black. Measuring 36mm across plus the crown, this Rolex is fitted on the Rolex Oyster band and is the current series with the no pin case and serial numbers on the rehaut around the dial. This has just come back from a full service and comes with our twelve month warranty. Complete with its box and papers, this unworn Rolex watch is as good as it gets and looks fantastic with the blue spiral dial and numerals.